Will your child be 3 before 1 January 2019? 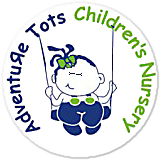 If so, Adventure Tots can provide up to 30 hours a week free childcare during term time. Even if you don&apos;t qualify for 30 free hours, we can still offer you 15 free hours a week. We may even be able to provide free childcare if your child is between 2 and 3 by then. Some 2 year-olds qualify for the free 15 hours a week (but not the additional 15) from the term after their 2nd birthday. This depends on family circumstances. To find out whether you qualify, you can visit the 2-year funding page on the Lancashire County Council web site or ring the Family Information Service on 0300 123 6712.
use your maximum entitlement each week for 38 weeks, in which case your child will come to nursery during term time only. We&apos;ll try to provide whatever suits you best. It doesn&apos;t have to be all mornings or all afternoons. Subject to places being available you can pick and mix sessions to suit your needs. You can find more information about The Free Early Years Entitlement Funding Scheme on the Lancashire County Council Web Site.